With the much-anticipated Lok Sabha elections less than a month away, it’s time to gear up. Apart from the candidates and campaigners, voters should be equally ready. 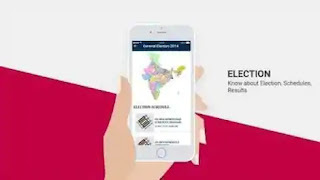 In order to facilitate better awareness and understanding among voters,the Election Commission of India (ECI) recently launched the Voter Helpline app. The motive behind the app is to provide a one-stop information and service platform for voters across the country. The app is available for download on the Google Play Store. What does the Voter Helpline app offer? Using the app, voters can search for their name in the electoral roll. Users can also fill up and submit important forms such as New Voter Registration, Overseas Voter registration, Deletion or objection in the electoral roll, among others. One can also register complaints and track their disposal status. The 2019 Lok Sabha elections are scheduled to take place in April and May. The elections, scheduled to unfold in a total of 7 phases, shall begin on April 11, and will conclude on May 19.